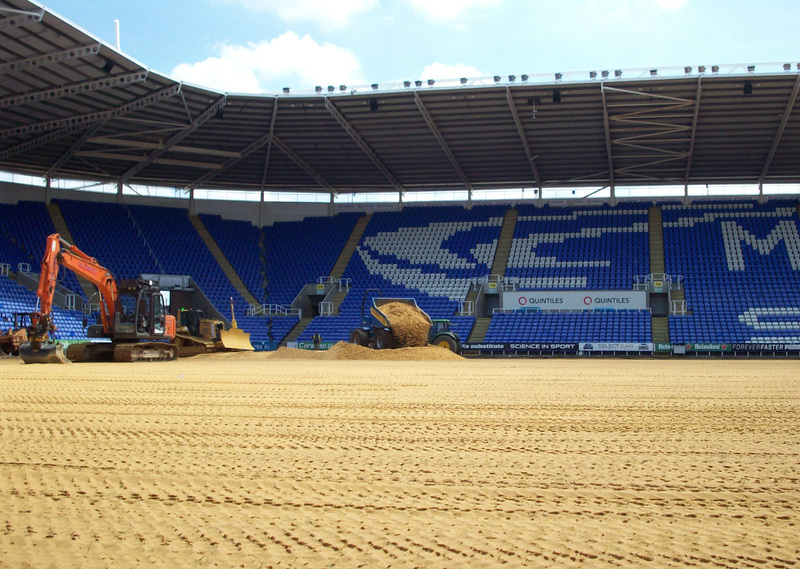 Madejski Stadium has been home to Reading FC since its construction in 1999. 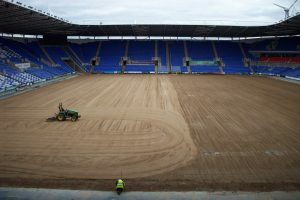 With the playing surface having undergone significant wear and tear over recent seasons, especially given its dual function as the home ground for London Irish RFC, Reading commissioned a full reconstruction during the summer of 2017, in preparation for a renewed promotion challenge. 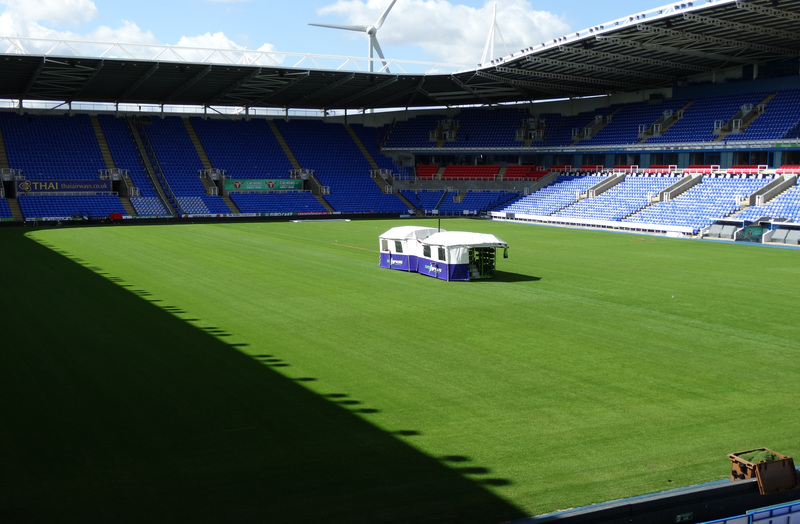 With the new Championship season just around the corner, Reading FC had just a five-week period to remove the existing pitch, replace both the lower and upper rootzones, and then relay the grass playing surface before completing the installation of the SISGRASS hybrid pitch system. 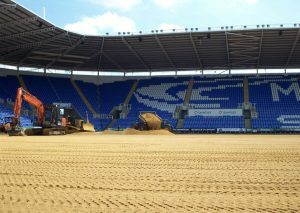 All of the work needed to be undertaken and completed in time for Reading’s first home game of the season on 8 August. Given the pitch is used by both Reading FC and long-term tenants, London Irish RFC, the playing surface is not afforded the regular ‘off-weekends’ that other non-ground sharing clubs benefit from; while the stresses and strains of hosting regular rugby fixtures further test the durability of the pitch. As such, the club identified the need for a long-lasting hybrid solution which could withstand the intensity and variety of multi-sport use, without sacrificing the playability associated with a grass pitch. 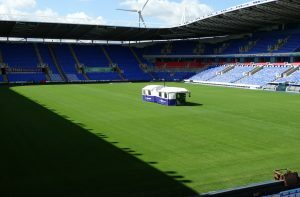 The new pitch is a 95% natural and 5% synthetic fibre surface that is able to deliver longer playing hours with fast recovery times, making it ideal for the playing demands at Madejski Stadium. 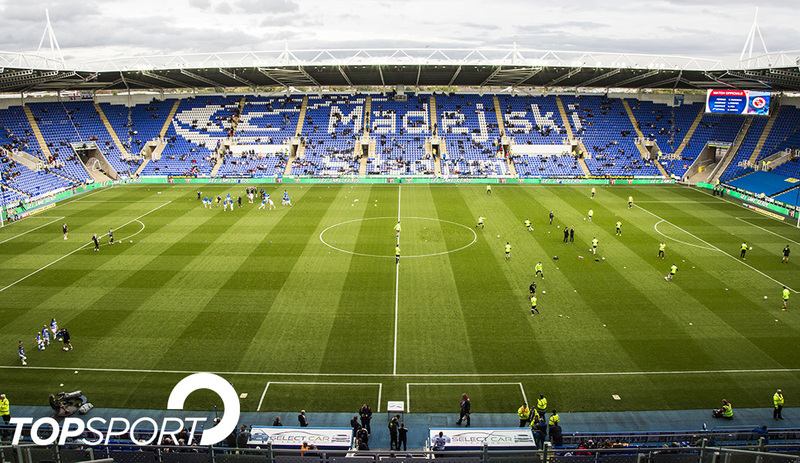 With a view to starting work as quickly as possible, Reading FC appointed specialist sports surface contractors, M J Abbott Ltd. Given the tight timescales, and having worked together before on a series of projects, M J Abbott turned to Tarmac’s Topsport team to supply the drainage gravel, lower rootzone sand and upper rootzone for the project. 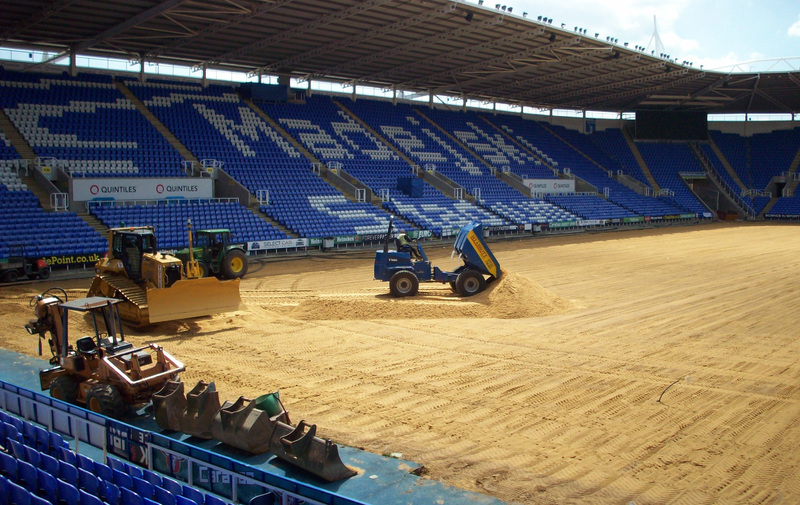 As the pitch playing surface was to be completely replaced, the first task was to remove the existing playing surface, followed by the rootzones and both the sub-pitch irrigation system and heating pipe system, ahead of the sand being delivered. “Timing was absolutely critical to the success of this project,” said Richard Goddings, Technical Sales Manager – South, for Tarmac’s Topsport division. “Given the club’s first game of the season was at home, the deadlines were completely set in stone, with no room for error. 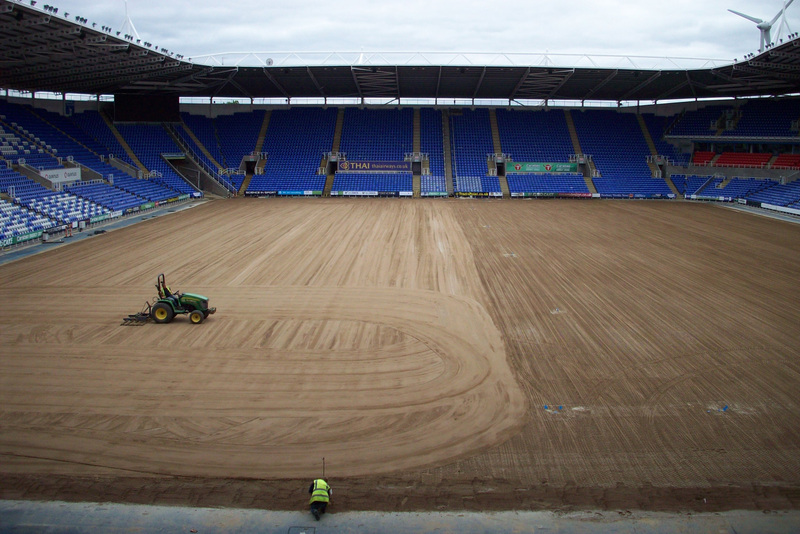 Richard continues: “As soon as the sand was in, we were then able to deliver 1,800 tonnes of Topsport Kingsley rootzone, designed to meet strict horticultural and playing performance criteria, in less than a week. The rootzone was placed out on the Friday and laid by the Sunday. It was then levelled off, graded with a laser-guided bulldozer, and then seeded. “The rootzone is a carefully balanced combination of high quality sand blended with organic materials, which encourages the free passage of air and water to facilitate strong and natural root growth. The 20 per cent soil amendment of the rootzone helps to improve moisture retention, leading to a higher quality playing surface which is noticeably softer than other hybrid systems, giving the feel of a true grass pitch. The improved percolation and water retention means that water can freely flow through the composition during wet weather, yet improves water retention in drier periods. “To complete the installation, the hybrid element of the pitch was installed using patented technology to inject fibres into the playing surface. The artificial fibres ensure the pitch maintains consistency and stability by holding the rootzone together.